The Brickerville House Specialty Shops and Antiques Market is ideally located between Lititz and Lancaster Pennsylvania and attracts thousands of visitors from all over the area. 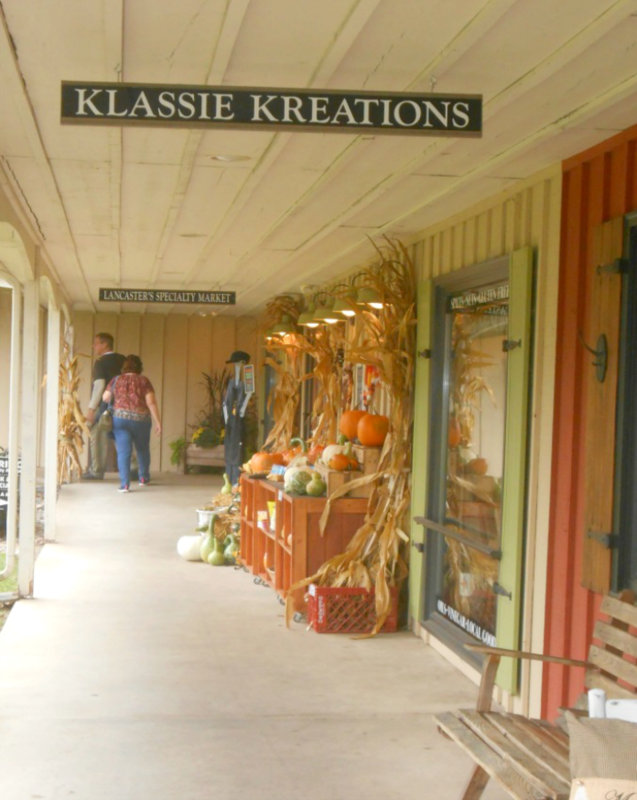 You'll find at least 13 specialty stores, a restaurant and a 2-story antique co-op market on the property. Driving Directions: You'll find them located at the intersection of US Route 322 and Route 501. If you need GPS directions, you'll want to use 2 East 28th Division Highway Lititz, Pennsylvania 17543. Thursday 10 AM to 7 PM and on Sunday - Only select shops are open. The on-site restaurant and ice cream shop have different hours of operation. On the day that we visited we enjoyed visiting the majority of the specialty shops that we're open. In the Lancaster's Specialty Market we shopped for some local honey and jam products...along with handmade Whoopie Pies. If you enjoy the food from the local area, this is definitely one place you'll want to visit. Like most people in the world...we love chocolate, so we had to visit Wertz Candies. Oh my gosh, their peanut butter cup fudge is out-of-this-world delicious! We picked up fudge, licorice and some chocolate coca beans. They have a nice selection of delicious goodies and they're prices were affordable! We spent over an hour exploring all of the antiques at the Antiques Co-Op Market which is housed in a separate building. It consists of two jam-packed floors and you'll find antiques from all over the world and from numerous local vendors. We saw old quilts, home decor, glassware, collectibles, old toys, jewelry and all sorts of other things. Right next door you'll find the big green house/building which is Maison Green who sells various flowers and antiques. On the day that we were there, they were close so we couldn't explore what they had to offer. However, The Brickerville House Ice Cream Shop opened up shortly after we arrived and we stopped in and enjoyed some ice cream after we were done shopping. Delicious! We spent about two and a half hours exploring and shopping at their on-site stores. After you're done you can pick up a bite to eat at the Brickerville House Restaurant or if you want something lighter, head on over to the ice cream shop. If you would like to learn more about the Brickerville House Specialty Shops, you can visit their website online. It seems that there are many wonderful stores here to explore. I would want to know in advance which are open. I definitely want to see antiques.